Though multiple stage paint jobs have been around for decades, only recently have the major manufacturers started mass producing their cars with this type of paint job. Three-stage paint jobs are increasingly more common and are some of the most beautiful stock paint jobs you can get. Thousands of people are buying these cars not realizing the additional costs they’ll need to pay when paint repairs are required. Pearl paint job “this is about 50% of all “white” cars produced these days. As the name implies, there are multiple coats of visible paint layers that are applied to achieve a certain effect. When we say “visible paint layers” we mean only the layers that you can see when you look at the car’s color. Primers and sealants are not visible through your color so they are excluded from the “visible paint” layers. The angle of the light source and reflections are key to experiencing the effect and color of your 3-stage paint.  As you look at your paint job from an indirect angle the light has to travel further through the layers which increases the effect of each layer. Layers of a regular paint job (2-stage). Layers of a 3-stage paint job. Light reflection angle changes the color of three stage paints. One of the easiest ways to tell if you have a 3-stage paint is to look down the side of your car at an angle. If the color seems to change or appear smoky or milky, you have a 3-stage paint. If you can’t really tell for sure call the dealer with your VIN# handy and they will be able to tell you. 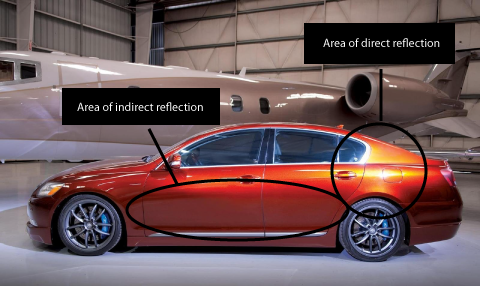 On this car, the area of direct reflection is bright gold and the area of indirect reflection is dark orange. 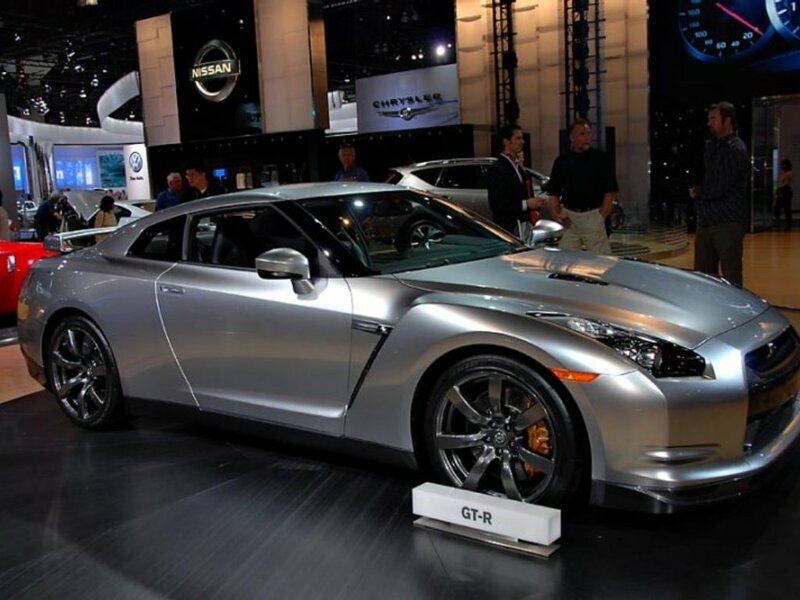 Some manufacturers are beginning to offer 5-stage paint jobs such as the “Super Silver” Nissan GTR. 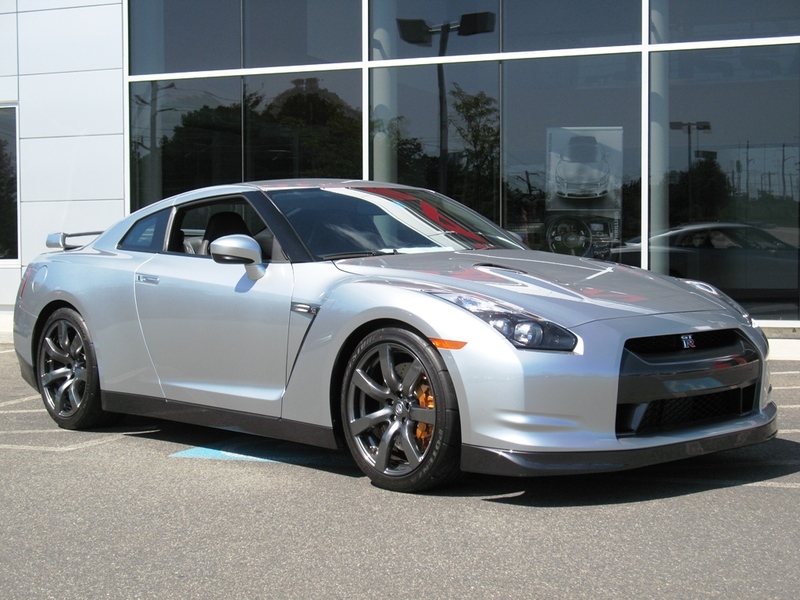 Now luckily, Nissan charges an additional $5000 for this color but look at the pictures below. If we didn’t tell you it was a 5 stage, would you notice? A lot of people don’t and are finding out the hard way. In addition to the added cost of materials there is also added opportunity for things to go wrong between each layer. The thickness of each layer controls the intensity of it’s effect so the body shop must take extreme care not to spray too little or too much. Other hazards include dust or moisture contaminating the surfaces. Much more care must be taken to avoid defects and that is a liability most shops charge for. All of these factors make for an extremely expensive repair. Touching up a three stage paint job is extremely difficult. Touch up can only be applied in 1-2 layers and therefore cannot achieve the same effects. Our best chance is to mock the color created by the effect from the most common angles viewed. Most of the time we are successful in hiding the blemishes but we’ve been defeated once or twice. All of our services are mobile! Please contact us for an instant estimate or to make an appointment.